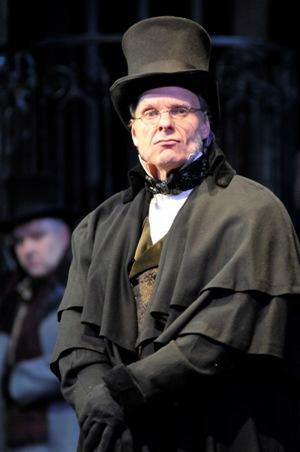 Michael Huie as Scrooge in the North Carolina Shakespeare Festival's production of A Christmas Carol. The North Carolina Shakespeare Festival, known as NCShakes, has announced that it is suspending all operations, effective immediately. NCShakes, one of High Point's main cultural attractions, has brought theater lovers to the city for 36 years. In a news release, the organization cited "extreme financial challenges in a difficult fundraising climate" as the cause for suspension. A production of Macbeth, scheduled for early September, has been canceled, but the Board of Trustees hopes to continue its Shakespeare to Go educational programming in 2014. According to the news release, they "plan to evaluate other programming in the future." The festival has produced Charles Dickens' A Christmas Carol every year since its founding in 1977, as well as other seasonal productions and summer camps. The North Carolina Shakespeare Festival has canceled its fall season for the first time in 34 years. Administrators made the decision in light of the state budget proposal, which cuts essentially all state funds for the festival. About 15 percent of the organization's $1.1 million budget comes from the state. Artistic director Pedro Silva says the festival has to start looking for other sources of funding as the next fiscal year approaches. How Shakespeare Says "I'm Sorry"
The public mea culpa has become akin to performance art in modern times. It seems a month seldom goes by without a celebrity, public figure or politician begging for forgiveness via the mass media. Repentance and forgiveness have not always been such public, interpersonal matters, however. In the days before the Protestant Reformation, forgiveness was up to God and God alone. 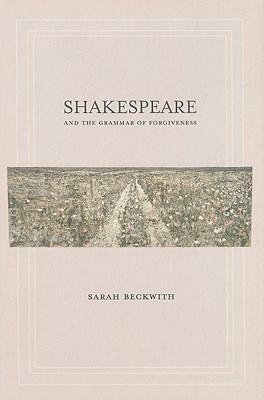 In her new book, "Shakespeare and the Grammar of Forgiveness" (Cornell University Press/2011), Duke University English Professor Sarah Beckwith traces the roots of our modern understanding of forgiveness to the language of William Shakespeare's later plays. Host Frank Stasio talks with Beckwith about how we say "I'm sorry."